The Secondary English Language Support Department Blog: Top homework! 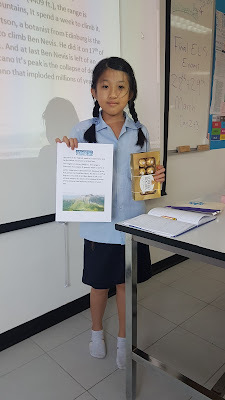 One of our Year 7 PET students did a fantastic job with her Ben Nevis homework. 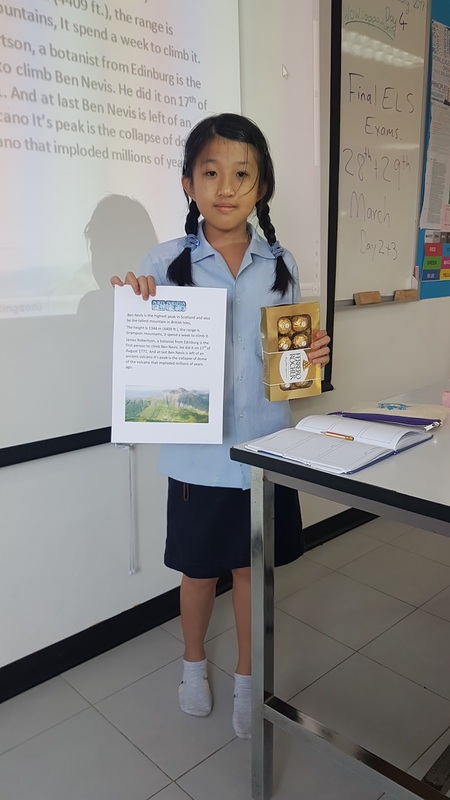 Here she is displaying the work and the wonderful box of chocolates as the well-deserved reward.